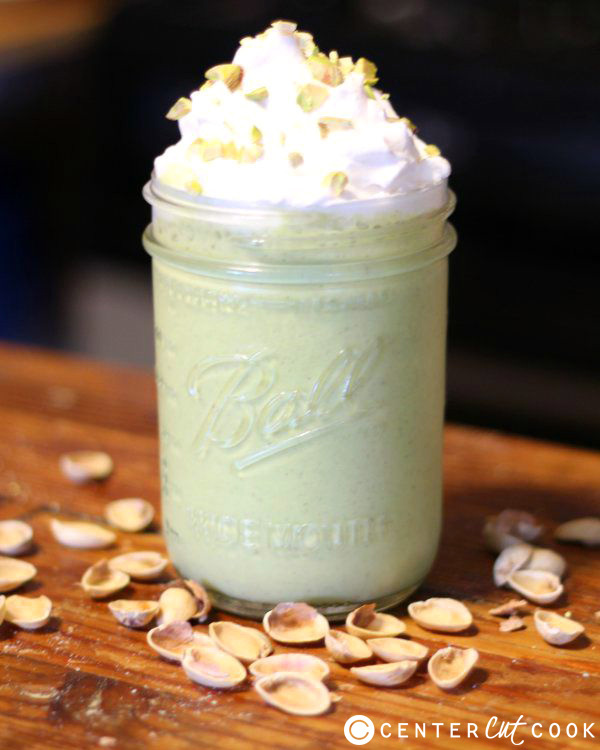 This smoothie has all the richness of real pistachios and is creamy and light, just like a wonderfully fluffy pistachio salad. Indulgent enough for dessert, healthy enough for breakfast! Dreamy! I’ve always loved those fluffy, minty green salads people bring to potlucks. They’re often called Watergate salad, or pistachio salad. And they’re normally made with tons of whipped topping, pistachio flavored pudding, marshmallows and other wonderfully bad and decadent stuff. I wanted to create a smoothie reminiscent of those wonderfully fluffy salads, but that was also good for you. Pistachios aren’t cheap, but I didn’t want to use fake pudding flavors. So I used shelled, unsalted pistachios, bananas, milk and yogurt instead. The result tasted delicious but wasn’t very green. What to add? Baby spinach is very mild and works wonderfully in smoothies because you can’t taste it. A high powered blender like a Vitamix will crush it so finely that you can’t “feel” it either. So you get your veggies delivered in a cup of creamy deliciousness and don’t even know they’re there! Bonus! Note: I find that putting the pistachios in last instead of first helps to get them blended better. Doing them first means they get stuck to the bottom of the blender as a paste and don’t mix as well. 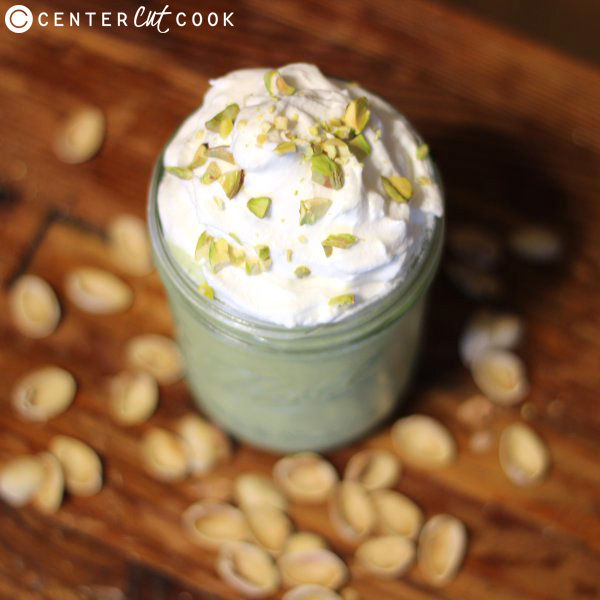 Top with whipped topping or whipped cream and crushed pistachios.